...but he needs his number, because he’s blocked. The 1975 just put out ambitious, expansive third album A Brief Inquiry Into Online Relationships, but frontman Matty Healy is already setting his sights on the next project. 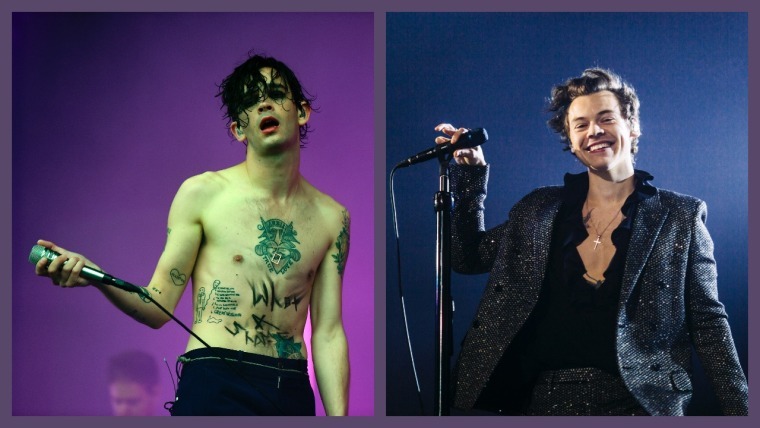 On Thursday, Healy expressed interest in producing Harry Style's next album, the follow up to his 2017 self-titled debut. He did this all over Twitter, of course, because he says that Styles "defo blocked" him. The two last collaborated (or at least, sort of) when Healy made out with a cardboard cutout of Styles in the "Love Me" music video back in 2015.